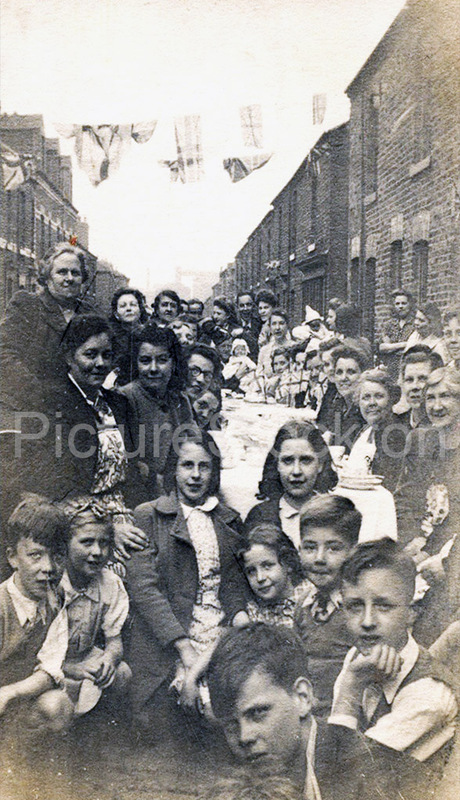 This photograph shows the VE Day celebrations in Bickersteth Street in Stockton. I lived at 71. I’m on this picture, bottom left next to Marjorie Ezard, who lived next door to me. They were the good old days!